Naturally, there is no actual demonstration of of the sound quality in the video above. One, the camera would never, ever provide the quality the Bose Panaray system provides, and two, YouTube and artists’ music rights open up a can of unwanted legalisms. 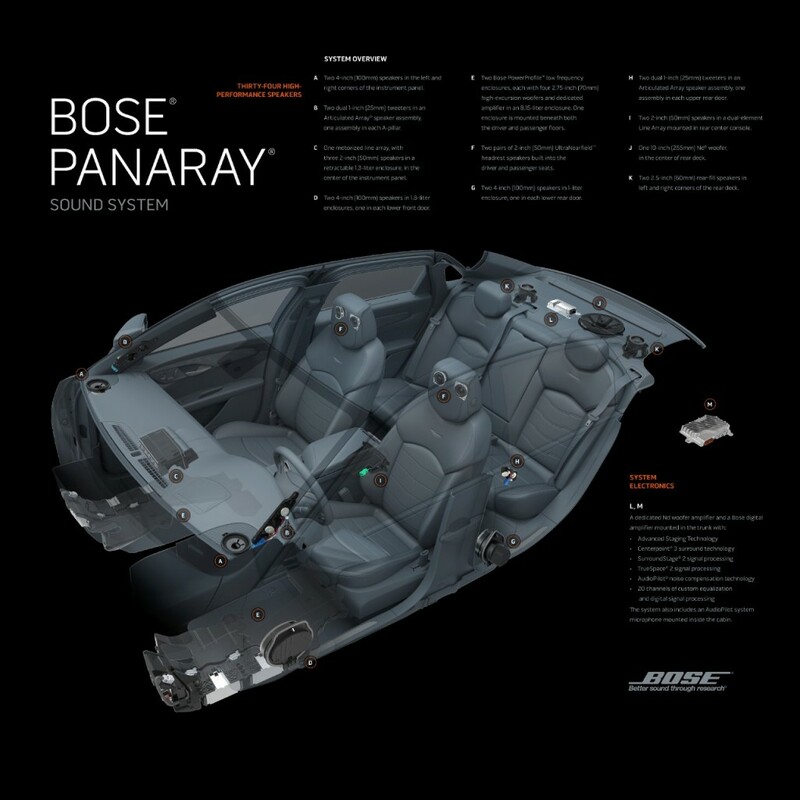 But, the above video does do an excellent job to give those who haven’t had seat time in the 2016 Cadillac CT6 a good idea of how well engineered the Panaray sound system really is, all 34 speakers worth of it. Our host gives us an in-depth walk around of the 2016 CT6 to pinpoint where exactly you will find a Bose speaker pumping bass, treble and more to your ears. Not only that, but Cadillac and Bose are on hand to discuss the cooperative effort in crafting the system to tailor suit the 2016 CT6, and the system’s operations are gone over in great detail through the latest CUE system with the trackpad. Click play above to get all the details on one of the many features housed in the 2016 CT6. 34 speakers in a small area is insane until you think about like heat as instead of having hot spots, you have 34 spots where the heat is about the same level as some of the speakers are to mask the sound coming from outside the car or the engine compartment as the passengers are bathed not just a wall of sound that is so violent they may not be able to think as the sound from this system is like a steam bath.